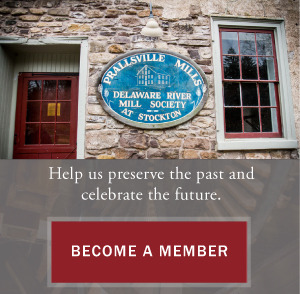 The Prallsville Mills is a historic site nestled along the Delaware River and Raritan Canal in the quaint town of Stockton, NJ. The Mill offers a variety of cultural and community activities. There's always something happening at the mill, from live music and art shows to history tours and yoga classes, It's a natural meeting place for people of all ages to gather and share their passions for the arts and nature, and enjoy a peaceful retreat from their everyday lives. The unique, 10-building historic complex includes an 1877 grist mill, a 1790 linseed oil mill, an 1850 saw mill, a 1900 grain silo and the Prall House, a late 1700's residence that is considered one of New Jersey's most significant early dwellings. We are fortunate that this early industrial village remains intact and now serves as a vibrant cultural and historical center. The Mill is a vital asset to our community today while preserving our country’s story of economic growth in the industrial age. 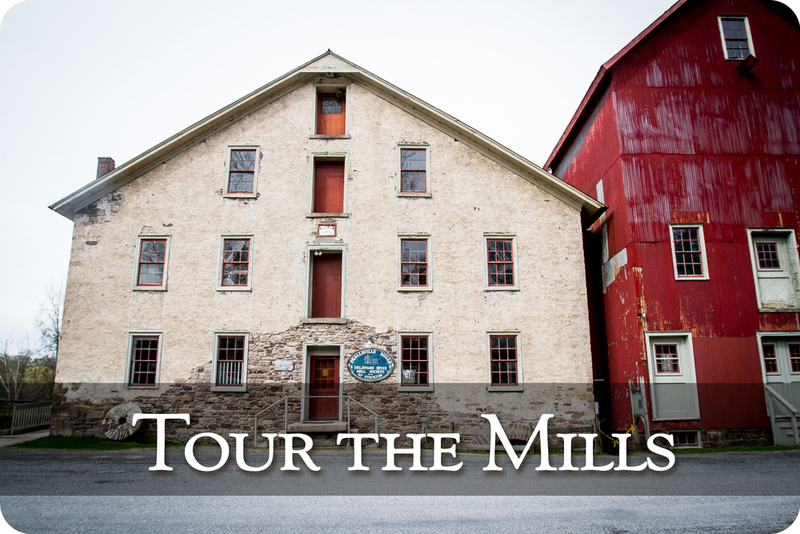 Come to the mill for a tour, a bike ride or a concert. 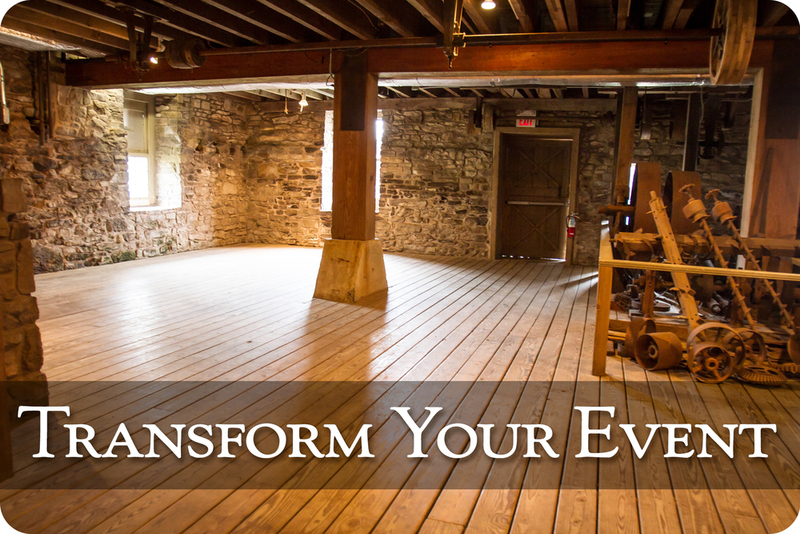 Get engaged in our history – or married in one of our magnificent structures. The Progressive Dinner has come and gone, but we’re still smiling. This year was one for the record books. We welcomed 167 attendees—our most ever—and thanks to their generosity, we raised almost $60,000 to support our mission. In just three years, we’ve more than tripled our proceeds from this one event, yet we could not have done it alone. None of this would have been possible without the generous support of our sponsors. We’re grateful for each and every one who has given to support the Prallsville Mills mission. We’re thrilled that we broke records and we’re blushing with pride. This year’s Raise the Paddle is dedicated to raising the roof of Prall House. If you weren’t in attendance, or were too busy sampling the delicious spread provided by Jamie Hollander, you still have time to donate. Click here to make your donation. A special thanks to River Valley Reality, our title sponsor for the 2019 Progressive Dinner. We invite you to explore the beauty of the Delaware River Valley and discover the intricate wonders of the 10 historically significant structures that comprise the Prallsville Mills complex. Private and group tours offered year-round. Share our world with your guests. The historic grist mill is a uniquely stunning setting for weddings, bar mitzvahs and other celebrations. Talk to us today about the many ways we can make your special occasion memorable. For more than 300 years, the Delaware River Valley and Prallsville Mills has attracted artists, industrial and political visionaries and thought leaders to its peaceful setting. Today we delight in sharing our rich history with you.